Mountaineering activity today is little-by-little being accepted by numerous individual from different aspects of life. Our society is fast-moving. 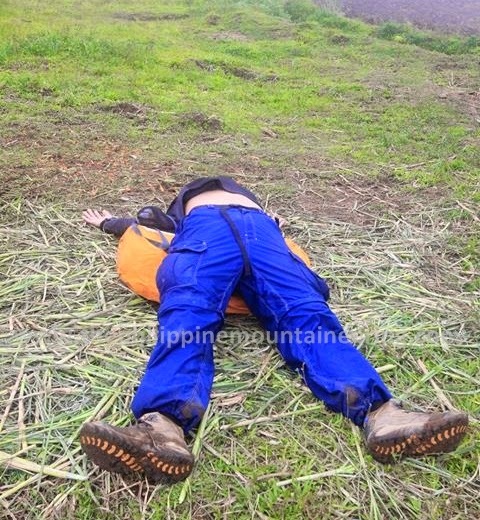 There is a good number of individuals who are now active in mountaineering and experience drowsiness during the climb. 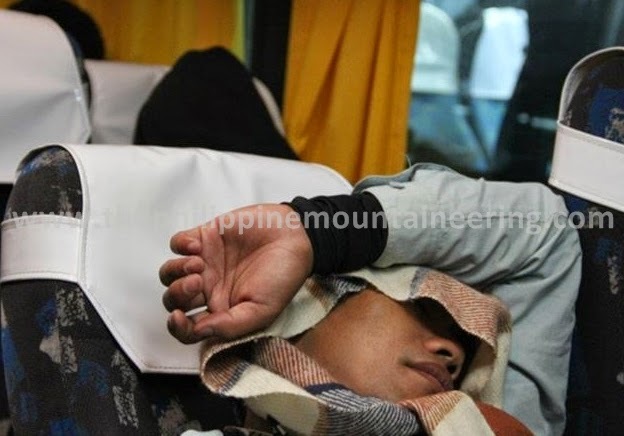 "Take Five tayo kasi inaantok ako" is common to some mountaineers. Drowsiness may affect the mileage and even the entire itinerary. We aim to help everyone to stay focused on the trail for safe and enjoyable mountaineering experience by giving points in preventing the drowsiness while trekking. Sleep. Invest ample night time sleep. According to some studies, adults need seven to nine hours of sleep, and teenagers usually need a full nine hours. Try to invest for eight or nine hours of sleep the night before the trek because if you won't get enough sleep, your body will naturally try to make it up. Eat. Take your meals periodically right. Healthy eating helps to prevent energy deficits during the day that could lead to sleepy mode. The golden rule is to start your day by eating adequate and healthy breakfast to program it to be active then eat lunch between 11 am-1 pm. Eating out of proper time may affect your internal clock and could lead a sleepy mode. As the time for dinner comes, make sure to finish eating at least two hours before bedtime, or else your body will still be working hard to digest the food and improper digestion may cause trouble the following day. Seed. Enjoy eating seed. Butong pakwan, sunflower seed, butog kalabasa or Dingdong mix could be a good friend aside from being source of rehydration but also to prevent drowsiness. Whether one at a time or a mouthful, the action of cracking the seed, manipulating the seed in your mouth, removing the seed, and discarding the shell will keep your mind active and awake. Remember to keep a plastic for the shells. Prescribes. Take the prescribes. Avoid alcoholic beverages and any sedating medication, check your labels or ask your doctor. Alert. Eat for alertness. It is a must to keep your taste buds awake. Other takes an energy drink but as of now we will not suggest this because there are a lot of negative effects of this. Keeping your taste buds awake may raise your level of alertness for a reasonable amount trekking time. Try to eat an apple, orange, or even a lemon to keep taste buds awake. Small.Eat small. Try to eat your trail foods or GORP (good old raisin and peanuts) one at a time. Make it last. The more active you are, the easier it'll be to stay awake. Caffeine-free. Caffeine is good but too much of this can increase our heart rate, blood pressure and can lead to an inevitable crash once it wears off. According to studies, it also stays in our system for up to ten hours after consumption, meaning an afternoon cup could help get you through the day, but it also may keep you awake when it’s time for bed. The best way to consume caffeine is in moderation and avoiding caffeine close to bedtime. Sugarless. Sugar is a good source of energy but too much of this might cause several responses in your system which could result in drowsiness and brain fog some time later. Chew. Try to chew sugar-free gum to keep your mouth busy. This eliminate the possibility of untimely yawning, which stops dozing off. Just keep chewing, even if your mouth gets tired of chewing, gum trick really works great! Refresh. Wipe your face and neck with a wet cloth. Music. Don't just try to listen to music that you like also try to listen to what you hate. The more annoying you find it, the better. Whatever you do, don't listen to music you like, especially if it's rhythmic and soothing. You'll go into your happy zone and start to nod off. If possible, listen to set of music that you normally can't stand. Put the volume up high. Talk. While on the trail, look for a buddy and have a conversation with him/ her. Avoid talking on a cell phone as it's both dangerous and impractical. Remember talking or singing are some of things you can do but don't let this be a stress to the wildlife. Relax. Even tired of long and winding trail, enjoy the progressive muscle relaxation. Start at your toes and working your way to the top of your head, tense all your muscles as tightly as you can and then relax them. Rest. There are few mountaineers who are practicing the principle "resting while walking." The concept behind this is simple, if we will stop our feet at rest the are great possibility for you to experience drowsiness. Walking slower than your normal pacing is a good form of rest than seating for five minutes or the known, "take five." This five could add a couple of minutes. Shake. Periodically shake your head from side to side and take a deep breath. Slap your own face if you have to. I once was forced to drive in an emergency and slapping my face vigorously kept me well awake for the twenty minutes needed.